"If it’s not good enough for us to put our loved ones in, it’s not good enough for yours!" The Maintenance Department is comprised of service manager Mark Bonzer, chief inspector William Kyle, inspector Rick Baxter, and technicians James Laber, Patrick Schwamman and Dan Duerre. They are dedicated professionals who bring over 120 years experience to their job. 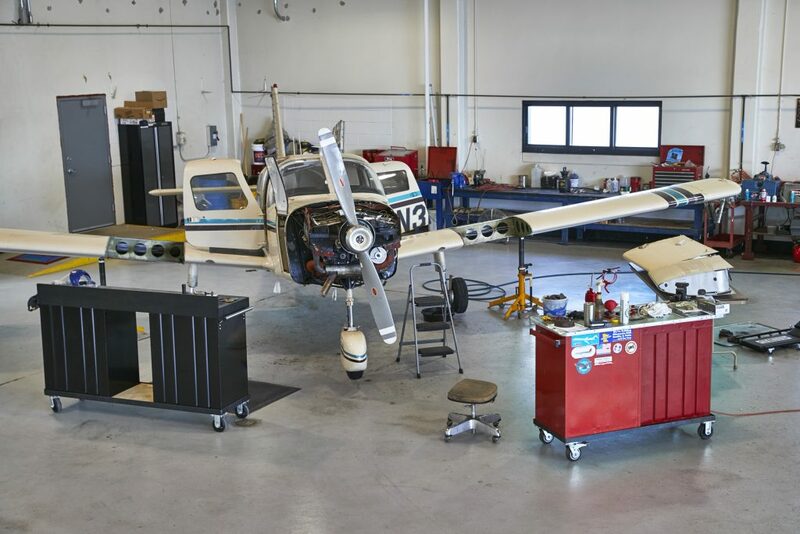 This department has extensive experience in Piper Aircraft from Cub to Cheyenne. Just because it doesn’t say “Piper” on the side, however, doesn’t mean we aren’t happy to work on it. We have extensive experience in virtually all light and medium aircraft, including Cessna, Lake Amphibians, the Aerostar Line and Cheyennes. From an oil change to an engine overhaul- we do it all!! Comanche Owners- This is the place to bring your bird. We’ve taken care of them since 1958! !